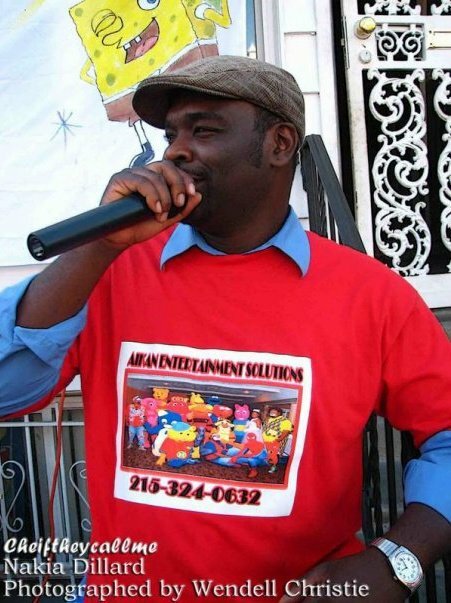 Nakia Dillard is an actor and entrepreneur who currently resides in Philadelphia, PA. He owns his own entertainment company called Aikan Entertainment. He hopes to own a full entertainment facility to host his events. Nakia is 35 years old and decided to pursue his love of acting after he graduated from high school. Nakia has been in a number of films, commercials, and magazines. At 5’10”, Nakia simply enjoys living life to the fullest and creating opportunities everywhere he goes. You can find him on the web at www.nakiadillard.com. We interviewed Nakia for our “A Few Good Men” edition and here are his responses on life and relationships. What is your greatest achievement? STARTING MY OWN COMPANY AND BECOMING A SCREEN ACTORS GUILD MEMBER. What is your relationship like with your mother? ITS GREAT ,SHE IS AN INSPIRATION TO ME. Why are you single or not in a committed relationship? I HAVE NO CLUE LOL. When it comes to women, what is your definition of beauty? HER INNER BEAUTY. STRESS LESS PERSONALITY. MEANING ALWAYS LOOKING TO THE POSITIVE INSTEAD OF COMPLAINING ABOUT THE OBVIOUS. I have had the pleasure of working with Nakia. He is a prince among men! It’s hard to sum him up in a few words but I want to echo that he is definitely a good man! Nakia is incredibly talented, humble, generous and supportive. As an actor and producer I appreciate his willingness to jump in wherever he is needed. I was humbled to be able to score an actor of his caliber for our project and I continue to be humbled and thankful that I get to call him friend. Congratulations Nakia! I hope this helps you realize that nice guys finish first! Much love! YOu ain’t never lied! LOL! Nakia is such a wonderful guy. Not only is he talented, but he’s a really nice guy with a big heart. Nakia helped me to get my first acting job with the Rainbow Theatre Company a few years ago. He’s such a sweetheart. The woman who’ll end up with him will be so blessed. I just pray that she knows how to treat him. Thanks for visiting the blog and leaving a comment. IT means a lot to me.